Now available in Carbonised Charred Enhanced Grain and Carbonised Ember Weathered. Millboard is a premium and unique decking product. It is made from polyurethane and does not contain any timber fibres. Millboard offers the natural look of timber with additional benefits ensuring your decking is maintenance free and exceptionally durable. 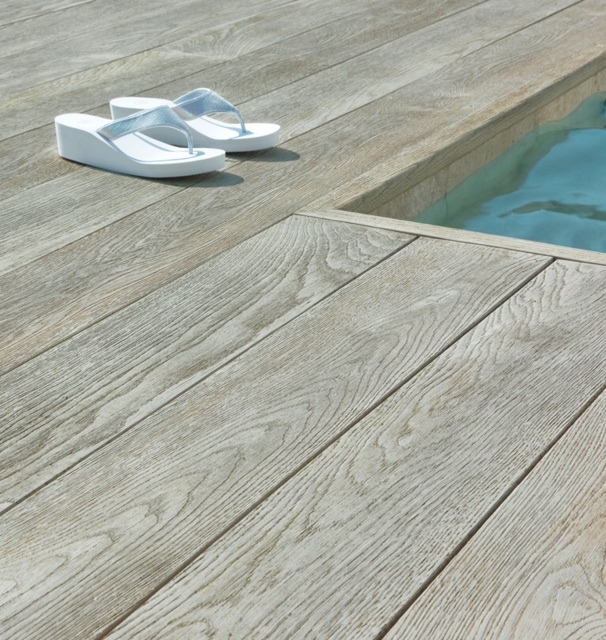 Millboards are moulded from prime oak samples, replicating the beautiful qualities of original timber. Each board is hand-finished to reproduce the detail of natural wood with minimum repetition. The textured and resilient surface of the LastaneTM finished Millboard is unique in that it provides a tough, algae-repellent surface which greatly enhances slip resistance in wet conditions to provide a safe, natural looking ‘non-timber’ decking board. Due to Millboard’s non porous nature it needs little maintenance other than the occasional wash. It has a very stable composition and fade resistant finish ensuring a highly weather stable product, produced and finished to the highest standards. Millboard is well suited to the leisure industry including hotels, pubs, clubhouses, outdoor smoking facilities, as well as domestic use. Made using a blend of recycled material that make use of hard-to-use waste and reclaimed natural minerals. The manufacture of Millboard helps to conserve the earth’s resources as well as reducing landfill, and helping conserve mature hardwood forests. With an integral half round nosing moulded on the edge, the bullnose step edge provides a clean finish for step situations or to neatly cap the edges of your decking area. Millboard ‘lost head’ top fixing is easy and simple, and best of all no screws or nails are visible after fixing. Just screw straight into the board to attach to your joists, no pre-drilling, counter sinking or fiddling with clips. The unique LastaneTM material closes back over the Millboard Trimhead fixing, leaving a virtually indistinguishable hole. Are the Millboard composite decking boards consistent and UV stable? After stabilisation, the two-tone Lastane ® layer will not fade or discolour. As with all flooring, it is best to buy all you need at one time as batches may vary slightly; otherwise we recommend blending different batches. Using U.V. stable coating and pigments this ensures longer lasting beauty from your deck. Can I request a Millboard decking sample? Yes please see contact page. Can Millboard decking boards be cut? Matching colour coating for exposed ends is available in 500 ml tins; this is to blend the colouring (not for sealing reasons). As the formed end of the board is lost when cut, these can be placed in less visual areas against a wall or edging profile. Millboards may be cut using a carbon-tipped multi-purpose chop saw. Does Millboard decking have a warranty? Our residential 25 year warranty gives you peace of mind against splitting, rotting and twisting. Millboard is manufactured in the UK. How should I edge the composite decking area? We recommend and manufacture edging and fascia boards that are designed to complement the look of your deck in the same beautiful style and colours of your choice. Fascia boards and edging come in rigid as standard, however flexible boards and edges are also available and can be curved to follow a maximum convex diameter of 3 metres. Is Millboard a non-slip decking product? Yes, in accordance with BS79.76 slip resistance tests, Millboard leads the industry with their high scoring anti-slip ratings even in wet conditions. 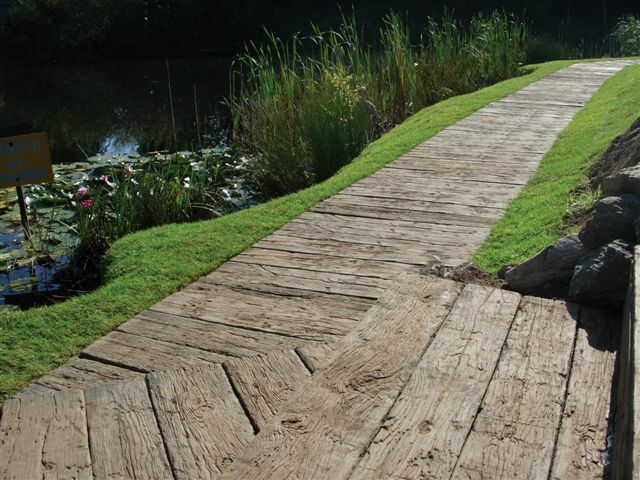 Millboards are manufactured with non-porous, wood-free material, therefore resisting both algae growth and stains. There is no need to use any kind of solvent, chemicals, abrasive cleaners, wax, oil or other household cleaners on Millboards and no need to pressure wash as dirt does not become ingrained. As the surface texture is non-porous, to remove any dirt or grime, simply wash with soapy cloth or broom before rinsing off- just like internal flooring. What fixings should I use when fitting my Millboard deck? Following extensive trials, we recommend and supply ‘Durafix’ self drilling stainless steel screws. There is no need to pre-drill or countersink Millboards and the unique Lastane ® material will self-heal leaving a virtually indistinguishable mark for a cleaner finish. What joist spacing do you recommend beneath my Millboard composite decking? Joist spacing of 400mm is recommended for normal residential and light commercial use. On heavy commercial bridges, balconies, moorings, doorways and steps, use 300mm spacing. If you need to cut the Millboard down along its length, then reduce the joist centres accordingly. A minimum of 3 joists are required for any cut boards. All Millboards are reinforced for additional strength. For laying 45° to the joist we recommend max 300mm centres and 240mm on commercial applications. Please refer to our full installation guide for more information. What size are the composite decking boards? The Enhanced Grain boards come in sizes 176 x 3600 x 32. The Weathered Oak boards come in sizes 200 x 3600 x 32. Fascia boards are 146 x 2400 x 18. Do you sell your composite decking in the us a? Sorry we only sell the composite decking in the Australiasia territory.